Solid surface bench tops are a solid, seamless, non-porous homogenous surfacing material made from natural minerals and acrylic resin. 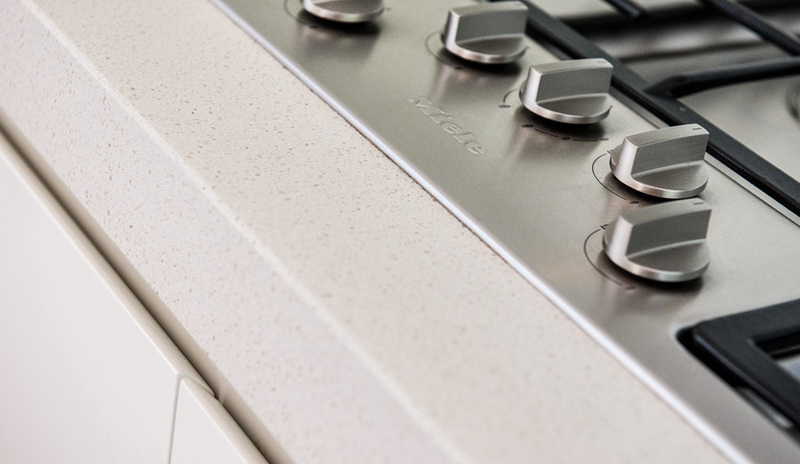 Suitable for commercial projects as well as endless benchtop applications around the home. Resistant to staining; no visible joins; hygienic; large variety of colours and patterns; custom-made to your specifications; can be used to create integral sinks and draining boards; dents, cuts and scratches can be easily repaired, the most repairable of bench top surfaces. Not heat or scratch resistant, harsh chemicals must be avoided. More expensive than most other materials — generally more than natural or engineered stone.